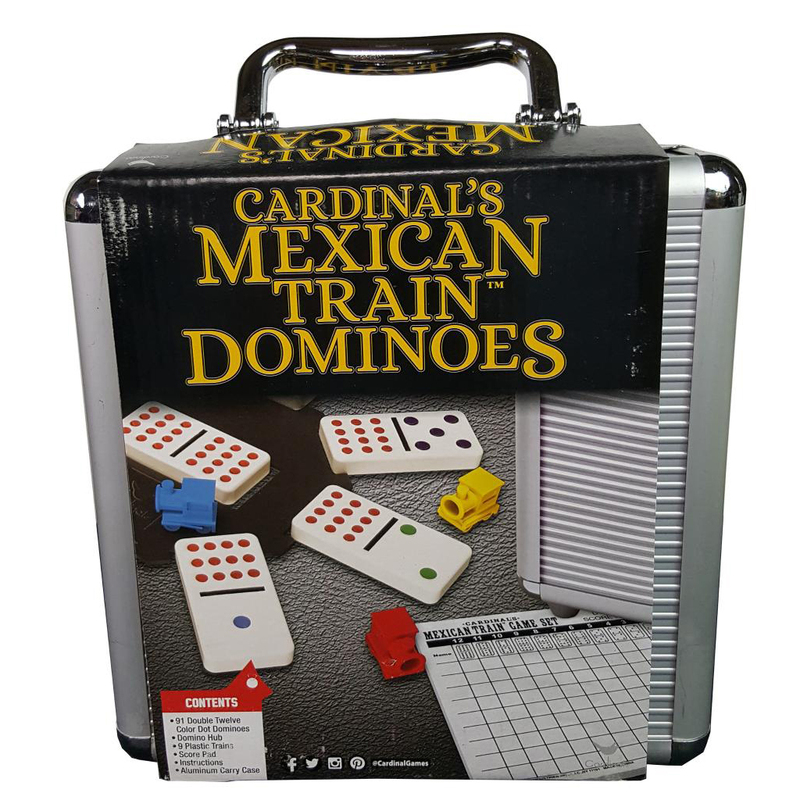 Family game night is back with this Mexican Train Dominoes set by Cardinal. Enhance kids' simple math skills with a fun-filled round of Dominoes. Train enthusiasts will love the colorful little trains used as game pieces. 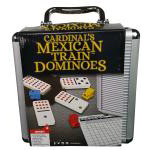 Mexican Train is a modern version of Dominoes, played with 91 double-12 dominoes. Because of its simplicity and interaction, it can be played by nearly anyone, anywhere. Depending on the type of game you play, it can last from a single, 20-minute game to a 12 round game lasting hours. It can also be played using double 6 or double 9 tiles for shorter games.